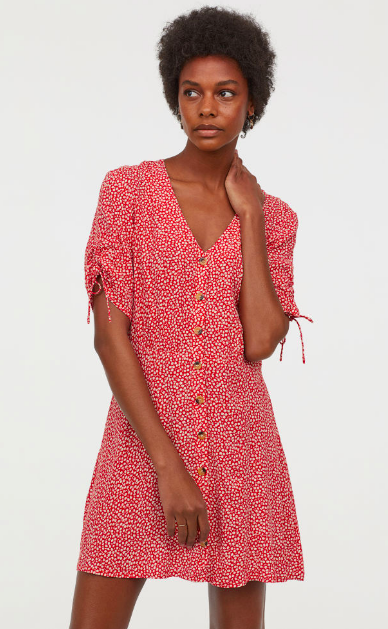 These new pieces under €20 are cheap and cheerful additions to your SS18 wardrobe. Sometimes, you just need a little pick me up in the sartorial sense. It's a glass of wine without the alcohol content, calories or judge-y looks for drinking alone. We're in the middle of the mid-season sales but it's hard to resist the nice shiny new things. If you're off buying such new things for Lent, or you're trying to cut down on fast fashion, but you're having a hard time of it, you can shop pretty much guilt-free when the nice things cost only €20. Here are five dresses under €50 to wear to your next wedding. This is an 'I'll wear this dress all summer long" kinda dress, if ever I saw one. 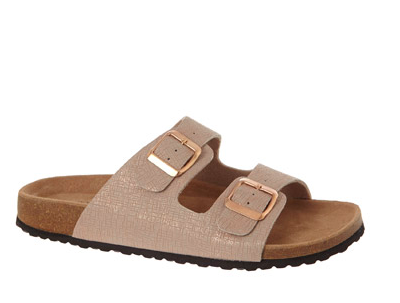 Perfect for warm summer days (we'll be wearing with out white Birkenstocks!) and lovely later on in the year (or now!) with tights, a chunky cardigan and boots. Because we can't afford actual Birkenstocks, we'll be getting this very fine copy from none other than Dunnes Stores! Perfect with jeans and dresses like the one from H&M. 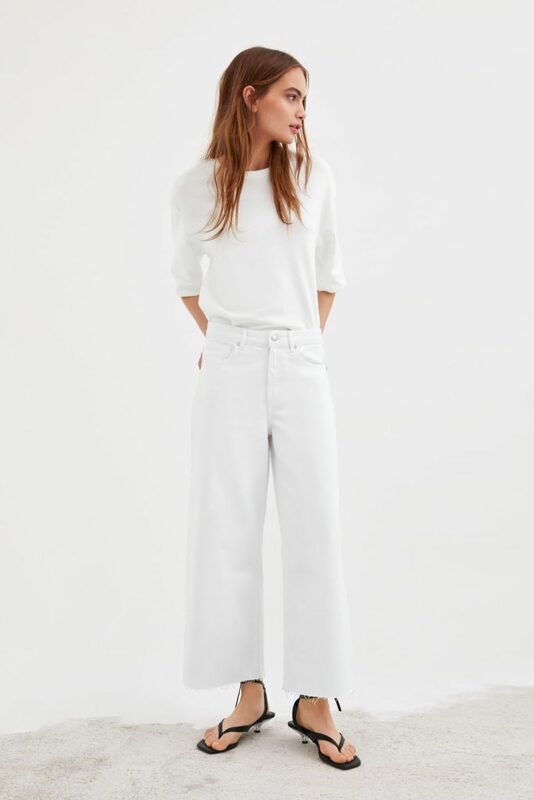 We are finally getting over our fear of white jeans and since skinnies are out, these comfy looking culottes are most certainly in. The matching white t-shirt is a very cool, if risky look, and we're into those flip-flop kitten heels. One of the easiest ways to look on trend is with your accessories. 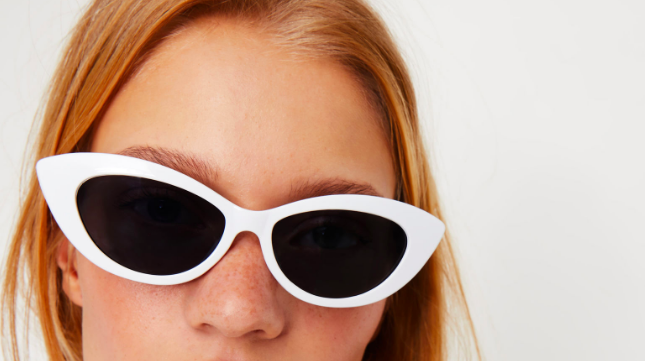 You can wear black jeans and a black t-shirt but these sunglasses would do all the talking. Mango is one of the best places on the high street for jewellery. 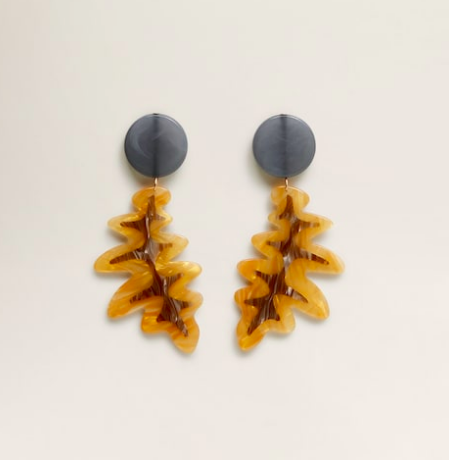 Wear these statement earrings with all of your outfits this summer. Do you prefer to shop in the sales or would you rather new, but cheap, things that are on trend for the season?